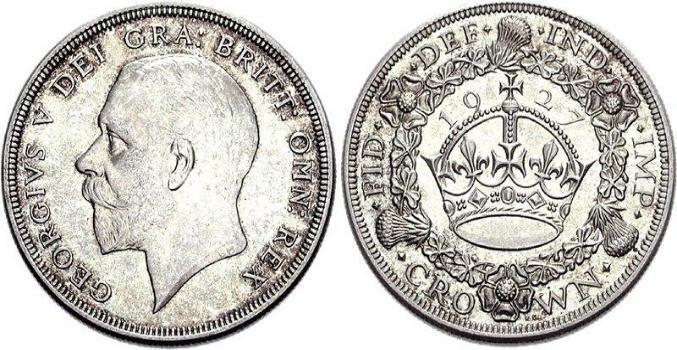 The George V Crown was produced in 1927 as part as a proof set. Deco style crown was issued to celebrate the King's Silver Jubilee. The obverse of the crown is by Bertram Mackennal. 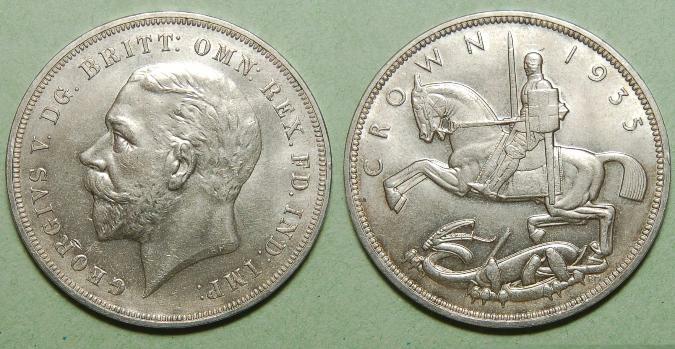 1927-1936 .500 Silver, 28.4 grams, 38mm Diameter.